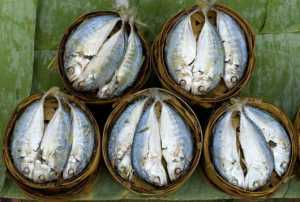 The global food safety legislation portal is developed within the framework of the SELAMAT project, as it was identified that the official national MRLs and related legislation of trading countries were hard to find on the internet. A new portal was set up, to function as a ‘guide’ through on-line available information on legislation for contaminants, pesticides, veterinary drugs and additives. The portal is developed to provide links to overview pages, search engines and legislation databases containing up-to date data and related information on the above mentioned subjects. Extra instructions on where and how to search in the reported links are provided for each item. This strategy was chosen since MRLs or legislation texts are continuously changing and ‘hard links’ to such data are rapidly out-dated. This distinguishes this database from many others. The above mentioned information on legislation is freely accessible. New plans involve supplementing the portal with written and visual information on Good practices, analytical methods (Codex, CRLs) and a help desk service. Access to this information will require registration. The portal can be searched by selection on information type (legislation, MRLs), subject, and country. The results are presented in a list with some general information to quickly screen the results. For every result, a link provides extra information, like document types, language, update frequency, contact information, or how it can be found. The project team has searched intensively for available information but we may have missed some relevant information. Therefore, if you have additional information on national food safety legislation or details on national legislation contact points, we invite you to provide it to us. In this way, we can further develop the portal, to facilitate other authorities in their search for information. Submitting information can be done via our project secretary. 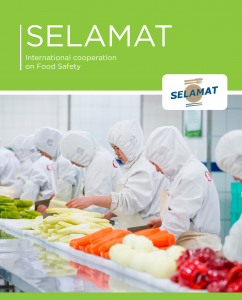 For more information on this portal, you can download the flyer describing the SELAMAT food safety legislation portal. Go to the Search page to start searching the portal. It is not possible to find MRLs by searching directly on a specific chemical or food type. Actually, this site lists all websites where this information can be found. So you can search for MRL lists in the country of your interest and check the MRL lists that are in the results. Often, you can find an indication of the food types that are in the list by checking the detailed information (click the link details in the results page). flyer food safety legislation portal.